It’s been a long time in the making, but the government has finally published a Code of Practice on security clearance. Ensuring that contractors are able to operate on a level playing field won’t happen overnight, but this is a big step in the right direction, writes Jordan Marshall of IPSE, the Association of Independent Professionals and the Self Employed. IPSE’s Security Clearance Forum, established in 2012, has been the driving force behind this. The forum brings together the Cabinet Office, recruitment agencies and contractors. Its role is to review how well all relevant parties are performing and embed best practice. The Code of Practice sets out the process that government departments, suppliers, recruiting managers and recruitment agencies must follow. It states that job adverts must make clear when security clearance is required and to what level, while emphasising that those with no security clearance should always be considered. The code also explains that as long as they are supervised, individuals may start work whilst a clearance is being processed. But what has actually been done to ensure that the code won’t just be ignored? Importantly, the Cabinet Office has written to all government departments to make them aware of their obligations when advertising and recruiting positions. Staffing bodies the REC and APSCo have also put their name to the code – contacting all recruitment agencies among their membership to remind them of the requirements. Beyond this, we are exploring further ways of giving the code greater teeth and guaranteeing a fairer deal for contractors. Within the terms of reference of the Security Clearance Forum, there is a commitment to considering the ‘possible development of a kite mark for agencies that meet those requirements’. We are keen to push forward with this idea – helping to enshrine best practice and a culture of fair recruitment. We are also keen to see government better promote its Mystery Shopper service, which allows individuals to anonymously report unfair practices around security clearance to the Cabinet Office. Greater resources need to be given to the Mystery Shopper team, allowing strong action to be taken where organisations are consistently found to be breaching the Code of Practice. This code certainly doesn’t act as a panacea. 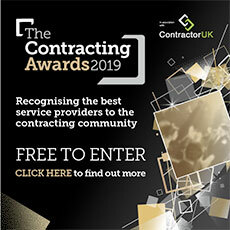 But it does provide a clear framework to guide departments, agencies and contractors towards a level playing field – creating awareness and facilitating best practise. Our organisation will continue to closely monitor client and agency behaviour to ensure the code is followed - we will be working with the forum to guarantee action is taken against any misconduct. As the simple common sense measures become ingrained in the sector, contractors should no longer need suffer from the ‘Catch 22’ and its blatant discrimination. Editor’s Note: The author, Jordan Marshall, is IPSE’s policy and external affairs adviser.